The purpose of this course is to learn specific methods for teaching CrossFit to children and adolescents. Participants learn techniques to overcome the unique challenges of teaching kids CrossFit methodology, as well as how a CrossFit Kids program can help build one's affiliate. Attendees also will see how CrossFit Kids is changing the lives of children and teens around the world for the better. Other topics covered include neurological development as it relates to exercise, weightlifting, health and safety, programming, teaching styles, class structure, and kids games. Throughout the course, participants learn how to pair fitness with fun, which is essential in promoting a lifetime of fitness. Affiliate owners, teachers, coaches, parents, home-schooling families and others benefit from learning this unique, kid-friendly approach to teaching CrossFit. Apply the CrossFit Kids program safely and effectively, while gaining the experience necessary to develop competency in training others using CrossFit Kids methods. There are no prerequisites to attend this course and receive a Certificate of Attendance. 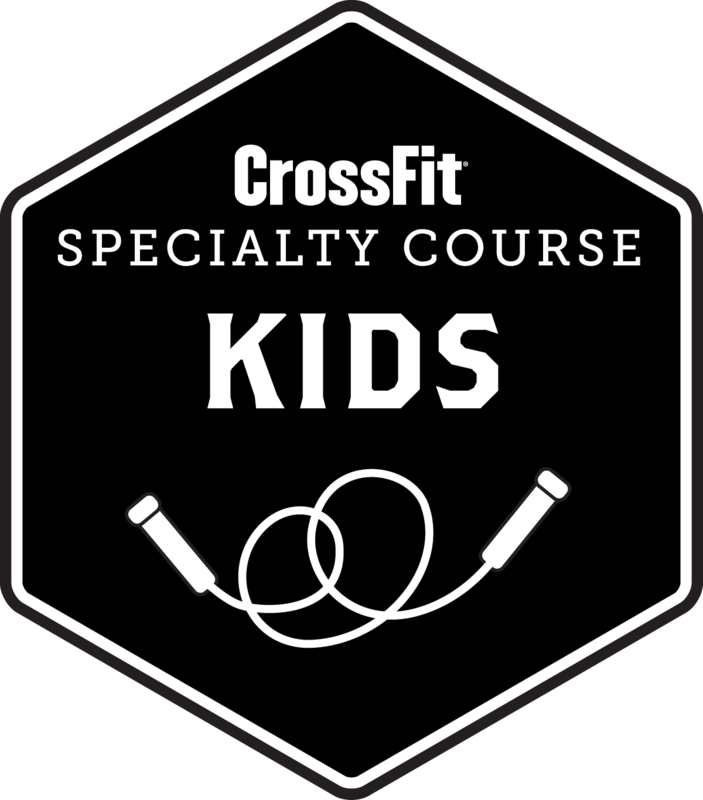 In order to receive a CrossFit Kids Trainer Certificate and designation, a valid and current CrossFit Level 1 Trainer Certificate (or higher) is required. See below for more information. Sent electronically one to two weeks after course completion to the email address used for registration. Attend and participate in all parts of the Kids Specialty Course. The default language for the Kids Specialty Course is English. In some countries, a translator is provided. Lecture and small-group practical sessions are translated in real time. Courses with a translator are specified in the “Language” section from the event registration link. Generally, translators are used in Latin America and some countries in Europe and Asia. Upon successful completion of this course, a Certified CrossFit Trainer may claim 14 CEUs toward continuing education. Email sme@crossfit.com for reattendance rate and discounts for active duty or retired military personnel, first responders, and full-time school teachers.